Strategic upgrades can help you slash heating and cooling expenses — and maybe even make some money while you’re at it. Looking up at the clear blue sky, I hear birds chirping, the far-off rumble of the Red Line, and — maybe I’m imagining it — the steady clink-clink-clink of money dropping into a jar somewhere. I’ve always loved sunshine, but since we installed solar panels in 2017, we’re making it rain on sunny days. Rooftop solar is just one of many home improvements that can lower both your carbon footprint and your monthly energy bill, though it’s the rare upgrade that also produces income. Generous financial incentives like tax credits and rebates can further sweeten the deal on all kinds of energy-saving improvements, from insulation to heating and cooling equipment. There’s a lot of money out there. Most Massachusetts residents have access to free energy audits and dozens of discounts, funded by a surcharge on their electric bills, through Mass Save, an initiative sponsored by the state’s electric and gas companies. “I don’t know why more homeowners don’t take advantage of this service, which they’re ultimately paying for out of their energy bill anyhow,” says Marie Presti, president of the Greater Boston Association of Realtors. Not that such improvements are always a slam-dunk. New Hampshire contractor Tim Carter, founder of AsktheBuilder.com, says it can take many years for homeowners to break even on energy upgrades. He says the best way to save on your utility bill is to wear extra layers in winter and use a box fan in summer. “Your parents survived without AC; so will you,” he quips. But if, after running the numbers, you think you’ll live in your home long enough to realize the savings, the following energy improvements can make your space more comfortable, save you money, and lessen your environmental impact. Most of them offer financial incentives that will reward your efforts, no matter what shade of green your motivations really are. I was sold on solar after researching it for a Globe story in 2015, and it’s only grown more enticing. Since then, Aggarwal says, “prices have gone down roughly 20 to 30 percent.” The average time for a solar array in Massachusetts to pay for itself in utility-bill savings and income generated had dropped, too, from 5.5 years in 2015 to 4.7 years in June, according to EnergySage. If you finance the installation right, your loan payment might be roughly the same as your electric bill used to be, making your break-even point feel almost immediate. Aggarwal says one of the most encouraging recent trends is growing consumer awareness: Homeowners are buying systems and keeping more of the savings, as opposed to leasing them or entering into power-purchase agreements with companies that reap all the tax benefits. That was a driving force behind the Mass Solar Loan program, which has so far helped 4,184 households (including over 2,000 low- and moderate-income residents) purchase solar arrays. “One of the critical things we focus on is making sure people of all income levels have access to these technologies,” says Steve Pike, chief executive of the Massachusetts Clean Energy Center, which administers the program along with the Massachusetts Department of Energy Resources. My family is among those 4,184. 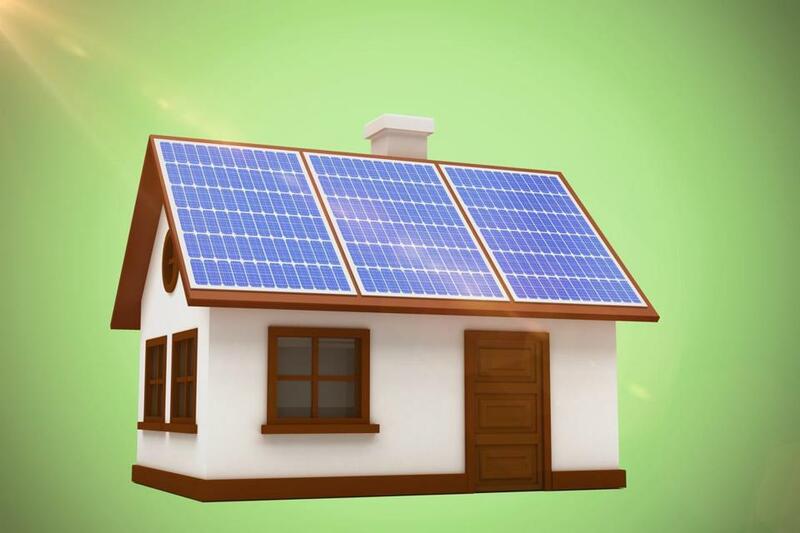 We financed our 5-kilowatt system with a 10-year solar loan, which offered more favorable terms than a home equity loan without putting a lien on our house (the lender accepted the panels themselves and the income they produce as collateral). After the installation, we were hooked up to the electric grid, and our new two-way meter began counting backward. The house is now a tiny sunny-day power plant. Net metering allows homeowners like us to sell excess power back to the utility in exchange for credit when it’s dark or rainy and we need to draw power from the grid. That means our electric bill has vanished. After just over a year, it feels as if we have enough credit on our National Grid account to last through a brief nuclear winter. But that’s merely one of the financial benefits. Installing solar panels qualifies you for a hefty federal tax credit good for 30 percent of the system’s total cost (this will ratchet down to 26 percent in 2020 and 22 percent in 2021 before disappearing). Massachusetts offers an additional state tax credit of up to $1,000. That dropped our net upfront cost from about $21,000 to $13,500. That’s still not all. Massachusetts requires utilities to meet renewable energy benchmarks, and one way they can do that is to buy offset credits to green their portfolios. In our case, for every 1.25 megawatts of power we produce, we can sell a solar renewable energy credit, or SREC, back to the utility at the market rate. We produced four credits in our first year and sold them through an online broker for about $1,000 in cash. The state plans to replace the SREC system with the new Solar Massachusetts Renewable Target program, known as SMART, this year. SMART will pay homeowners a fixed rate per kilowatt produced for 10 years, making it a bit less lucrative than the SREC system for solar owners, says Aggarwal, but more predictable. As good as it feels to produce clean, renewable electricity, the economics really seal the deal. Jessica Quirk and her husband, Steve, installed solar panels on the barn beside their 1948 Cape in Stow after taking part in a community solar challenge. Quirk says their main motivation was saving money. “Of course, using clean energy was a big bonus, but without the cost savings we probably wouldn’t have done it,” she says. The panels produce about $2,500 per year in SREC income. Eliminating your electric bill is awesome, but with our short New England summers and long, snowy winters, gas- and oil-fueled boilers and furnaces are the hardest-working home systems. Heating costs represent 59 percent of the average Massachusetts household’s annual utility bill, according to the US Energy Information Association. And with so many drafty old houses, just keeping more warm air inside works wonders. “Insulation — that’s where you get a lot of your savings on heating here in New England,” says Presti, who’s a green-certified realtor. Simply sealing air leaks and adding attic insulation in a typical 1,700-square-foot house can shave up to 16 percent off heating and cooling costs for Massachusetts homeowners, according to government estimates. That amounts to hundreds of dollars a year if you heat with a pricey fuel like oil, propane, or electricity. And if crawling around the attic isn’t your idea of a fun fall weekend, fear not: You can hire a pro to do it, and Mass Save will foot most of the bill. Through 2018, it will pick up 75 percent of the tab for home insulation work (up to 100 percent for income-eligible residents), with no upper limit. When Quincy homeowner Michael Snow had new siding installed two years ago, he took advantage of Mass Save incentives. “They helped cover the cost of adding mushroom vents, attic insulation, and blown-in insulation before the siding was completed,” Snow says. He was happy with the contractor and found the process simple. “They had me initial a few things, and that was it,” he recalls. Snow’s energy bill didn’t exactly plummet the next year, though; he says the savings was less than 10 percent. Another all-season upgrade is a central air-source heat pump system, which can both heat and cool your home. It uses the existing vents, if you have them; if not, you’ll need a ductless “mini-split” system, which requires one component outdoors and one or more inside. Both types of heat pump use technology similar to air conditioning, but in cold weather, they can operate in reverse, condensing outside heat and drawing it indoors. “Even air that’s cold has some thermal energy in it, and these devices consolidate that thermal energy,” says Andy Belden, senior director at the Massachusetts Clean Energy Center. Heat pumps weren’t always considered useful in colder climates, but Belden says newer models have changed that. “Even at 5 degrees, these technologies will still produce two to three units of heat for every one unit of electricity they use, so they’re still highly efficient, even at some of the lowest temperatures we see in New England,” he says. And in the summer, they provide efficient air conditioning (with a Mass Save rebate of up to $500 per unit). 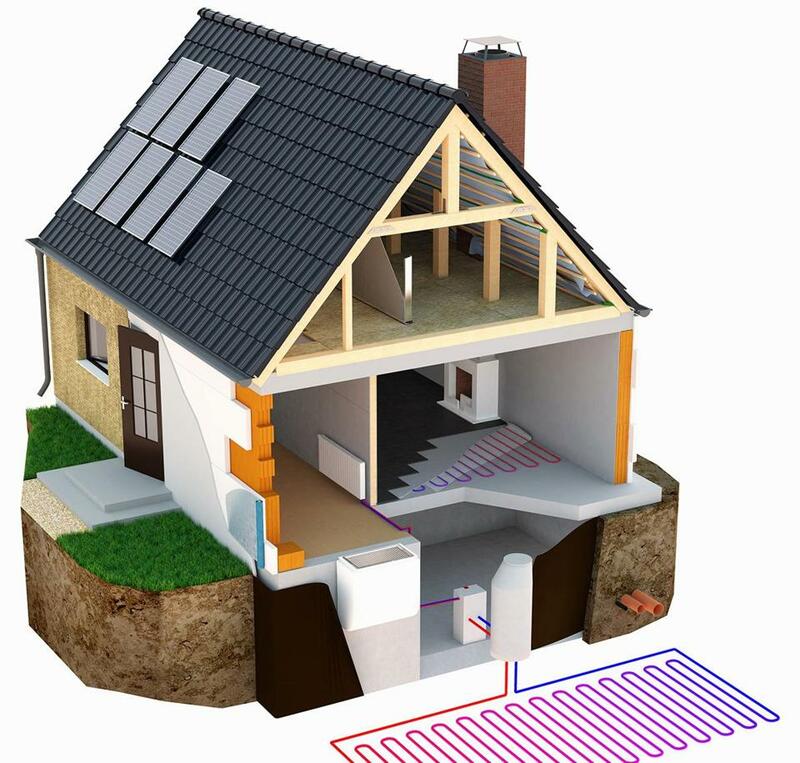 Geothermal heat pumps work in much the same way, but they tap underground energy. They’re not common — about 80 systems were installed in Massachusetts in 2016, the last full year for which figures are available — but are even more efficient than air-source systems. “The temperature 7 feet underground is pretty constant [50 to 60 degrees] throughout the year, so you can use that as your heat source or your heat sink, depending on whether it’s winter or summer,” Belden says. They’re also eligible for the 30 percent federal tax credit, but Belden says they’re less flexible and make sense only in a whole-house system. Meanwhile, as we head closer to heating season, homeowners with fitful old furnaces or cranky boilers in their basements — we’re talking 30 years old or more — can tap into rebates of up to $3,250 to install a new, high-efficiency replacement furnace or boiler before the old one goes kaput in the dead of winter. And while it’s hard to think about radiators amid the summer swelter, it’s always smart to start early. “The height of summer and winter are the busiest times for Mass Save, so the best times to call are in the spring and fall,” says Jessica Ridlen, director of communications at the state Department of Energy Resources. Mass Save provides rebates of up to $700 toward Energy Star-certified on-demand water heaters, but the biggest incentives are reserved for solar hot water heaters. This renewable technology circulates a fluid to the roof, where it absorbs the sun’s thermal energy and returns to heat up an insulated water tank. Says Belden, “The best customers for that are folks who heat water currently with high-cost fuels” like oil and propane. A solar hot water system large enough for a family of four can run $8,000 to more than $13,000 installed, according to Massachusetts Clean Energy Center data, but available rebates can cut that nearly in half. Another ambitious upgrade, this one for homeowners with hot-water boilers (think baseboard heat or two-pipe radiators), is modern wood heating. These boilers burn compressed wood pellets, a renewable and often locally produced energy; you can order bulk pellet delivery just as you might order oil, at a fraction of the cost. An average installation costs about $25,000, a lot more than a traditional oil or gas boiler, but the Massachusetts Clean Energy Center offers rebates that cover 40 to 66 percent of the project, plus up to $2,000 for pellet storage. While all of these projects will cost you money before they save you any, the Mass Save HEAT Loan program allows homeowners to finance installations and equipment interest-free for up to seven years. There’s even money to help fix issues with your home that might prevent you from making efficiency upgrades. For example, it’s dangerous to get insulation blown into your walls if you have knob-and-tube wiring, so on top of covering the bulk of your insulation costs, Mass Save also offers grants to help pay for an electrician to replace the old wiring first. Belden says these generous programs are a big reason Massachusetts has been ranked the most energy-efficient state in the nation for seven years in a row. The first step for homeowners looking to take advantage of these incentives is to book a free home energy audit through Mass Save. During the audit, the energy assessor might install LED light bulbs, smart power strips, or programmable thermostats at no cost. “They’ll lay out the opportunities for insulation and air sealing, and they’ll talk about things like your air conditioning and heating system and other appliances,” Belden says. Let’s not forget appliances and other gadgets. If you’re remodeling your home or otherwise in the market for a new appliance, you might be able to score some savings — like a $50 rebate for buying an Energy Star-rated electric clothes dryer, or up to $400 off a high-efficiency washing machine. There are also instant rebates on Nest thermostats and other energy-saving devices, and replacing an old, non-EPA-certified woodstove with a more efficient model can net you a rebate of $1,000 to $3,000 through the state’s Woodstove Change-Out program. Municipal utilities serve 41 Commonwealth communities, whose residents aren’t eligible for Mass Save programs. But many local utilities offer their own rebates and discounts. “They’re all frankly different, so the story there is pick up the phone or visit their website, and they’ll tell you what’s available to residents at any given time,” Belden says. Jon Gorey is a writer in Quincy. Send comments to magazine@globe.com. Get the best of the magazine’s award-winning stories and features right in your e-mail inbox every Sunday. Sign up here.